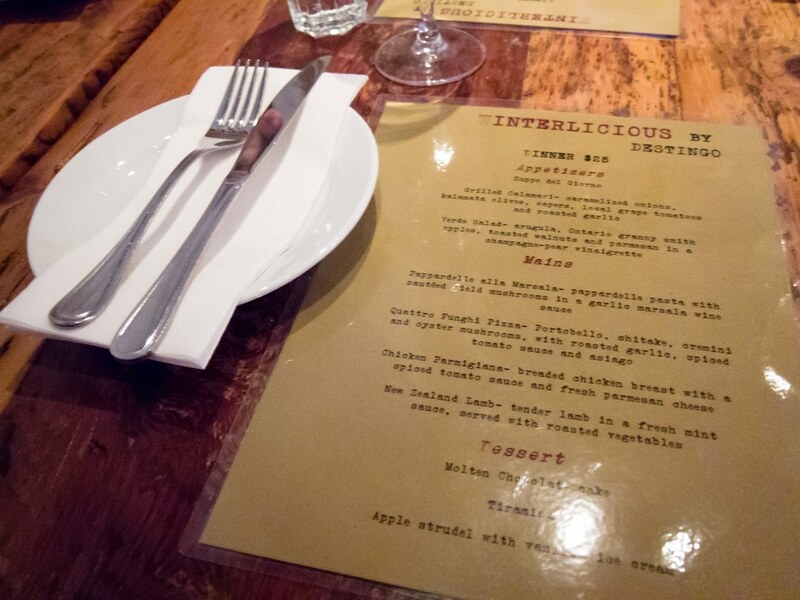 During each liciousTO event I like to organize a group meal at a new restaurant for my friends, which usually means a party of 8-10. I look for a restaurant with more than three entree options and a dining area large enough to fit us comfortably. Destingo fit both of these criteria and was my top choice based on their consistent positive reviews. Atmosphere: Wood grain tables, exposed cement walls and large glass pendant lights make up the dining space. The kitchen is fully open to the seating area and bottles of wine line the wall across from individual washrooms. Every square foot of the restaurant is economically designed and serves a function. With this, there’s plenty of room to seat several large groups without worry about elbow room. 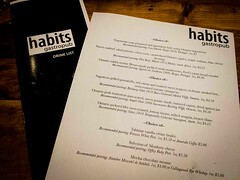 The noise level at the beginning of dinner was comfortable but as more customers arrived, the decibels increased and echoed making conversation difficult. Our table also got chillier as the night went on. Service: The service that night was friendly but unorganized with a slight frantic feel. Our entire meal took 3 hours and while this was nice to hang out with friends and no one really minded, it was longer than I had planned for. We waited a good 20 minutes after ordering before appetizers arrived and another good amount of time after plates were cleared before entrees were served. Our server was wonderful and brought bread refills between the two courses. One of my friends also managed to spill his water and that was quickly cleaned up. 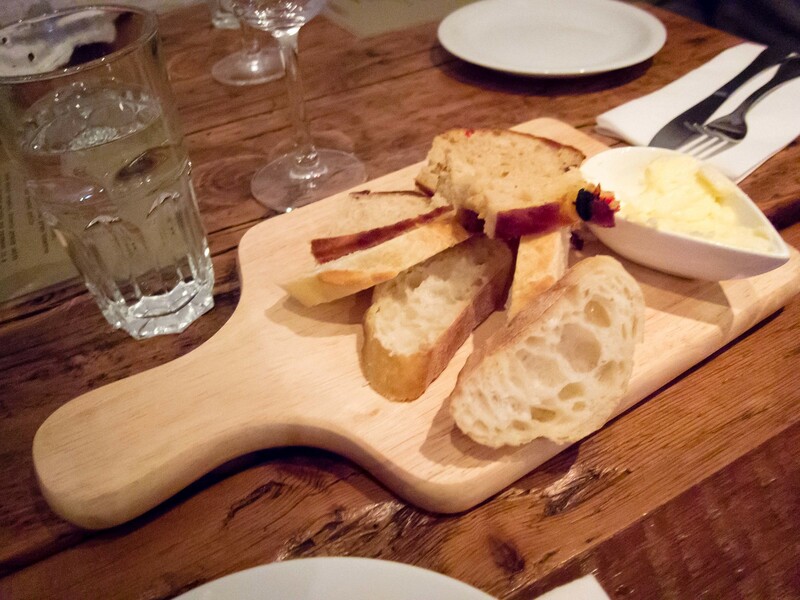 Food: Two bread boards were served with an amazing sweet butter that was quickly devoured. This was one instance where the butter was finished with bread left behind (very little). I ordered the Verde Salad for my appetizer and the BF had the calamari. 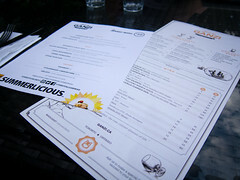 Our table heavily favoured the calamari with only one person ordering the soup of the day, cream of mushroom. 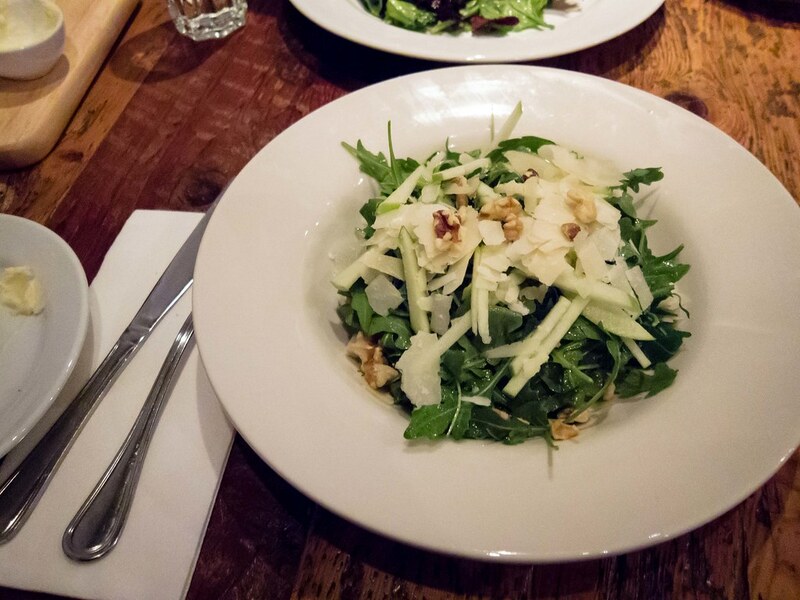 Portions were generous and my salad was very refreshing with slices of apple, nutty walnuts, plentiful parmesan cheese and a light dressing. The greens served with the calamari was more heavily dressed. The squid itself was grilled, not battered and tender, easy to bite through. 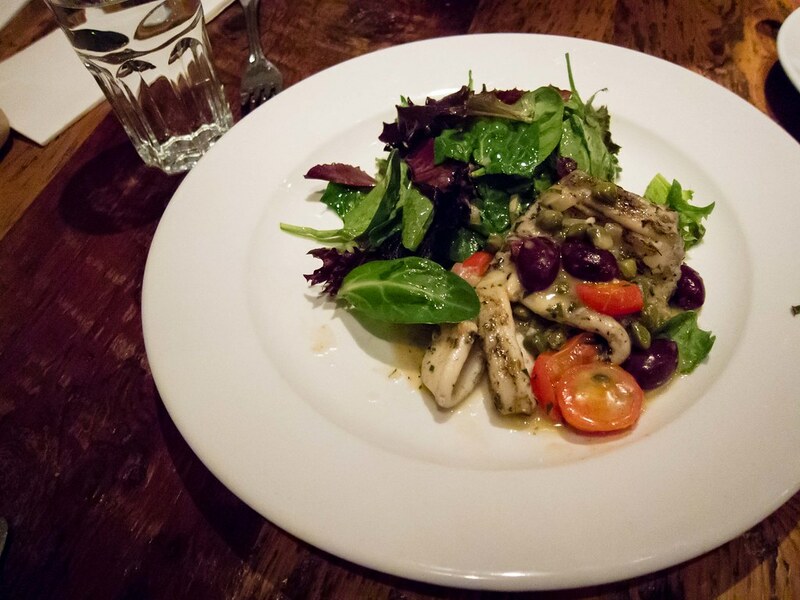 I loved the olives and capers making the dish feel like a traditional antipasto. 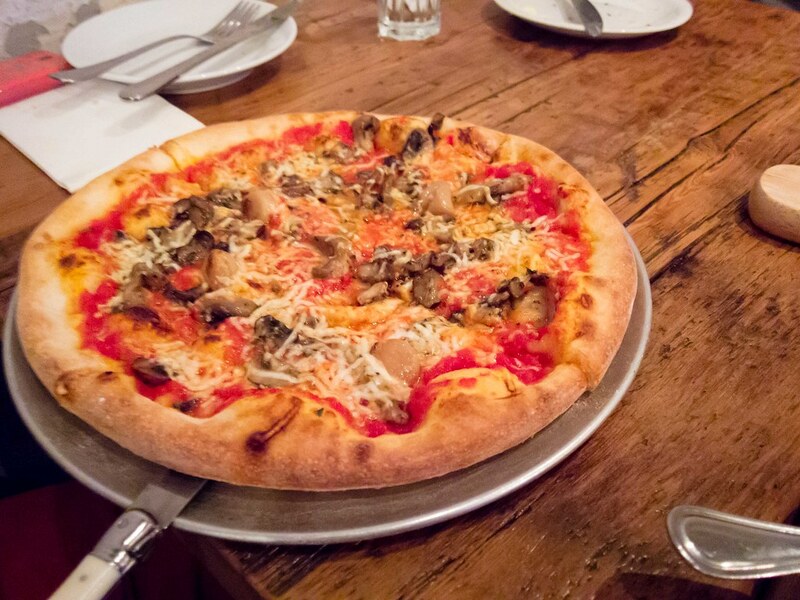 The BF and I both ordered the New Zealand lamb and I snagged a piece of the Quattro Funghi Pizza from a friend. 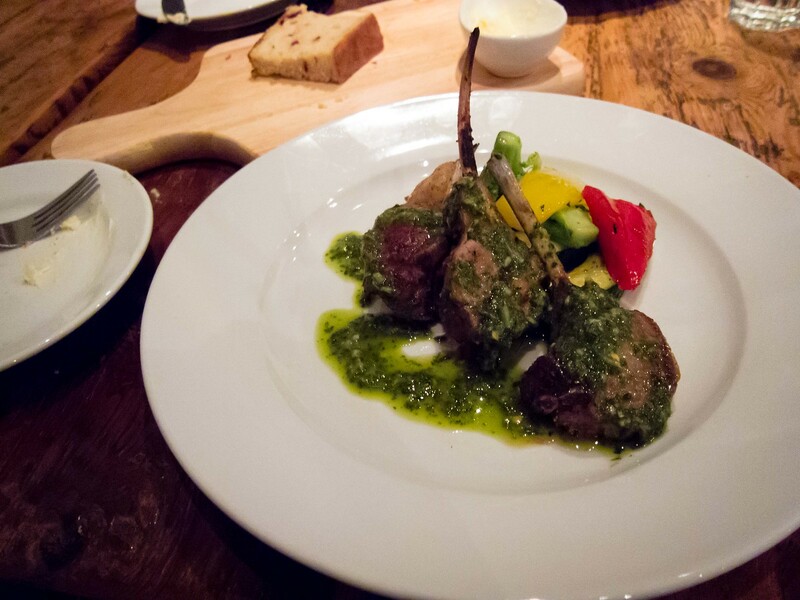 My lamb was cooked to a medium rare, tender and had a good gamey flavour while the mint sauce was fresh and not overpowering. 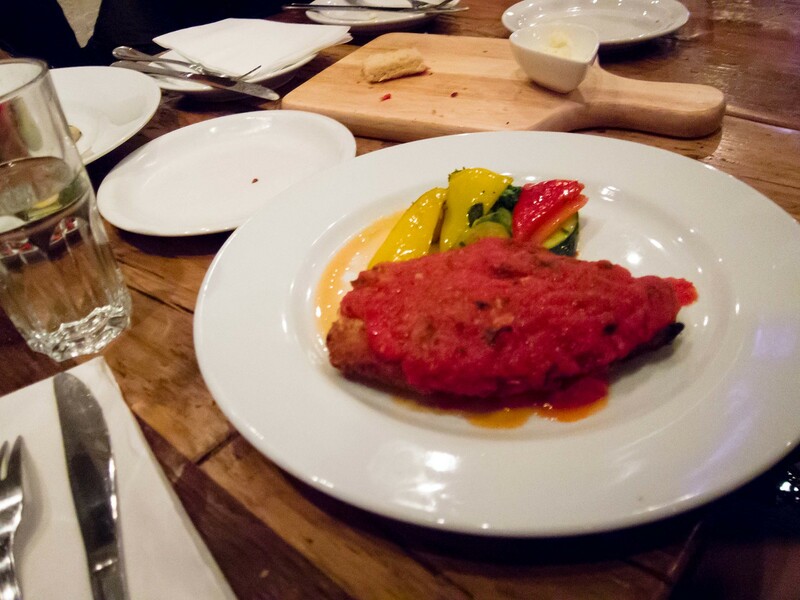 The dish was well executed and used colourful vegetables to round out the presentation. I really liked the crust on the pizza, paper thin and crispy. I found the asiago a little strong for my taste and masked the mushrooms a bit. 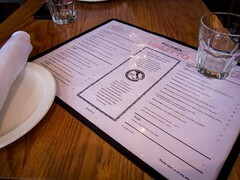 I didn’t get to try the Chicken Parmigiana but heard good things and the bite of Pappardelle I had was delicious. The pasta was thin, al dente and almost made me wish I had ordered that as my main. 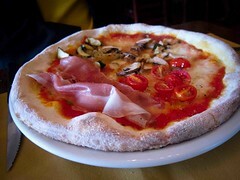 As for portions, the lamb was the smallest dish but still a good size while the pizza and pasta were on the larger side. 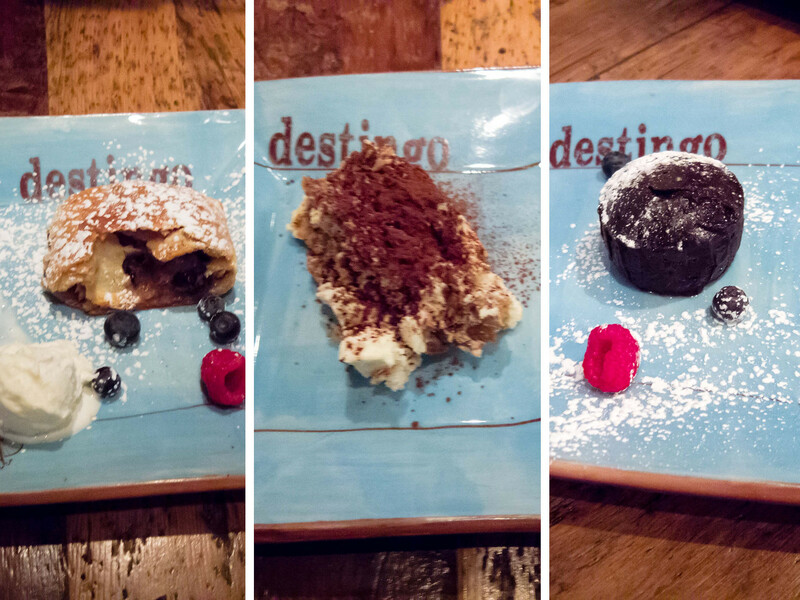 I did get to sample all the desserts and my favourite was the Tiramisu, followed closely by the Molten Chocolate Cake. The apple strudel was only ok, especially after the amazing Apply Purse I had at Bent. The tiramisu was rich, creamy and had a wonderful coffee flavour. The Molten Chocolate Cake was more dense and less molten than I had expected but nonetheless tasty.